At the Long Ago Peoples Place in Champagne, Harold Johnson guides visitors through his recreation of a Southern Tutchone village. He shows an example of a snare once used by First Nations people to catch gophers. Trapping holds historical significance for First Nations people in the Yukon as both a cultural and commercial activity, says Johnson. Furs were used to keep warm during long winter months, as well as bartering chips to trade for items such as axes and kettles. But as times have changed, so too has the role of trapping in the lives of some First Nations people in the Yukon. Those traditional gopher snares are no longer in use. Johnson has one trapline in the Jo-Jo Lake area that he uses to catch lynx, fox, wolf and wolverine. Though he used to sell the furs of the animals he trapped, Johnson says he now keeps the furs for various uses around Long Ago Peoples Place. Trapping methods aren’t the only things that have changed over time in Yukon’s fur industry. Lifestyle changes, coupled with the low prices that some furs receive at auction, have called the feasibility of the commercial trapping lifestyle in the modern world into question. Trappers who want to make money by selling their furs typically do so through a fur auction. North American Fur Auctions (NAFA), the largest fur auction house in North America, hosts sales three times a year. At its July 2018 wild fur auctions, the average sale price of a western beaver pelt was $10 USD. Compare that to 1940, when a beaver pelt could fetch $34 at auction – the equivalent of $500 today. Everyone who traps in the Yukon is required to have a valid annual trapping licence. In order to obtain one, trappers must hold a trapping concession, also called a trapline. To be eligible for a trapline, Yukoners must be at least 16 years old, have completed a recognized trapper education workshop, and be able to demonstrate to a conservation officer that they can trap according to regulations. While some people trap solely for personal use, others sell the furs they collect as a source of income. There are 346 traplines in the territory, athough only 280 are currently in use, according to Yukon Fur Real. Trapping animals requires the use of specific legal traps and methods. Soft-catch traps have a rubber coating on both sides of the jaws and are used to hold an animal in place without injuring it until the trapper arrives to kill the animal with either a snare pole or a gun. Two kinds of traps exist that can be used to kill an animal without a trapper’s direct involvement: conibear traps, which make use of large metal springs to break an animal’s neck at the base of its skull, and snares, which an animal runs through and pulls tight on itself to choke. Trappers are legally required to check their traps on a regular basis once they have them set, to avoid an animal starving to death, suffering unnecessarily, or being attacked by another animal. It’s up to a trapper to decide what they want to trap, how many traps they will set, and what kinds of traps they will use. While some of the animals that are trapped have edible meat, such as beaver and muskrat, trapping is done primarily in pursuit of an animal’s fur. Trapping seasons exist for each of the 14 animals that can be trapped in the Yukon, with specific opening and closing dates for when the animals can be caught. The majority begin in October and November and run until February or March. Trappers use the snow to hide their traps from the sight of animals. While the act of trapping takes place during the fall and winter months, maintaining a trapline is a year-round commitment. Once the snow melts, trappers evaluate what worked well in terms of trap placement and catch success, and plan what traps will be used in which locations the coming winter. Trails through the concession area are cleared in the summer and fall. Purchasing and maintaining equipment such as chainsaws, traps, snow machines, trucks and trailers happens on a constant basis to keep gear in the best condition. 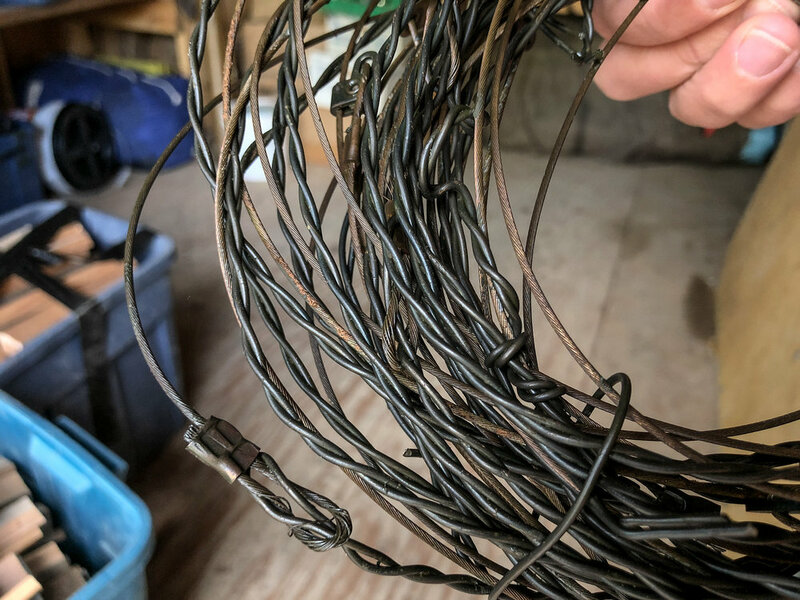 Combined with the cost of gasoline used to travel to and from the trapline and run snow machines on the concession, running a trapline can cost thousands of dollars over a single season. Trappers can try to recoup some of their costs by selling their furs at auction, but low prices can pose a challenge to doing so. Despite the low sale price of some furs at auction, many Yukoners still see value in living the trapping lifestyle. As times change, organizations representing trappers and First Nations have stepped forward with new ways of promoting and protecting Yukon’s fur industry. The winner of the 2018 Yukon Innovation Prize, Yukon Fur Real is a strategy supported by the Yukon Trappers Association and the North Yukon Renewable Resources Council that aims to boost the public image of Yukon trappers. By celebrating the territory’s fur industry and educating the public on modern trapping methods and regulations, the movement has taken a three-pronged approach to share its message. “I am Fur Real” was a months-long marketing campaign that made use of print media, presentations, and radio ads to promote Yukon’s fur industry. The UnFURled celebration held at the Kwanlin Dün Cultural Centre in Whitehorse on March 10 consisted of a fur marketplace for trappers during the day and a Fur Ball dance in the evening. The Yukon Fur Real strategy is the development of a long-term action plan to maintain a thriving fur industry in the Yukon. Jason Van Fleet, executive director of the North Yukon Renewable Resources Council, says that ideas for the event that would eventually become UnFURled had been in discussion for nearly three years. He became concerned about the future of trapping in his community of Old Crow when longtime trapping families told him they could no longer justify putting their efforts into trapping for the price that their furs would get at auction. 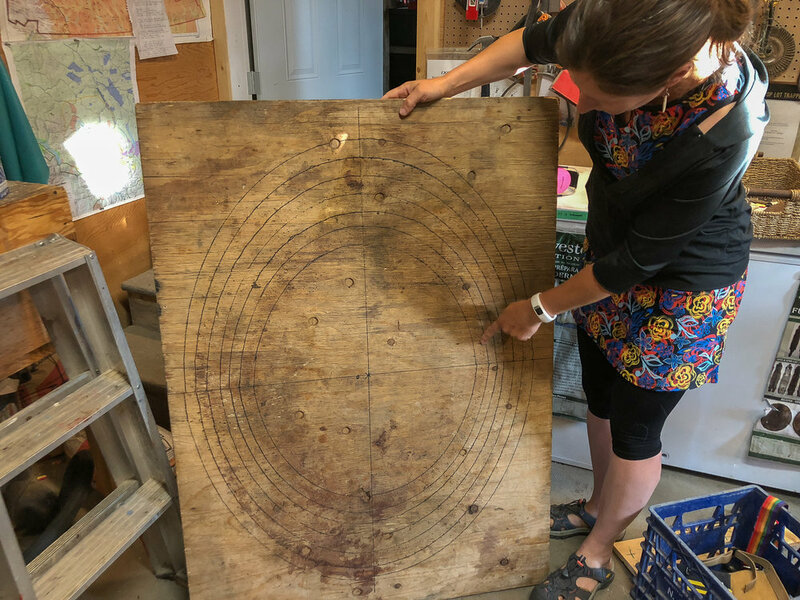 “I’m very passionate about trapping and all that it has done for Yukon over the past 400 years, so I began to research what the current climate was out there related to trapping,” Van Fleet says. Following the success of UnFURled, Van Fleet is confident that support exists within the Yukon for fur and the trapping industry. Faced with the low price that some pelts receive at auction, some trappers have begun turning their furs into value-added products in order to continue making a living at trapping. Lisa Preto, a member of Yukon Fur Real, first started trapping with her husband as a way to enjoy the outdoors once they started having children. Shocked at the price of fur at auction, she began crafting parka ruffs to sell from the fur she trapped instead. Over time, the local demand for her products grew so large that she shut down her online Etsy retail store to focus on in-person sales. Preto helped to lead workshops during the UnFURled event in March where people learned how to craft with fur. To her, trapping and using animal fur is a way of living sustainably in the Yukon. Like Preto, fellow Yukon trapper Brian Melanson had grown discouraged with the low price that furs were selling for at auction. As president of the Yukon Trappers Association, Melanson has been working to help the organization establish a new way of selling the fur trapped by its members. The group has set a standard minimum price for furs, which it buys from its members and has tanned before selling to crafters. Crafters who purchase an association membership will receive a discount on the furs they purchase. The impact of lifestyle changes has also led some Yukon First Nations to come up with innovative solutions to keep the practice of trapping alive. Stan Njootli Sr, a former Vuntut Gwitchin First Nation councillor, was involved in discussions to plan the UnFURled event after sharing concerns with Van Fleet about the future of trapping in the Yukon. With more and more parents working typical 9-to-5 jobs, Njootli Sr. says his First Nation came up with a way to ensure that youth could still learn traditional outdoor skills if their parents didn’t have the time to teach them. Through “culture camps,” Njootli Sr. explains that members of the Vuntut Gwitchin community take children and youth out onto the land to learn outdoors skills, including trapping. Two categories of traplines exist: Category 1 traplines are allocated by a First Nation, while Category 2 traplines are allocated by the Yukon government. Njoolti Sr. makes use of a group Category 1 trapline in Old Crow, where he catches lynx, marten, muskrat, wolverine and fox. People could make a reasonable living at trapping as recently as the 1980s, when fur prices at auction were high, says Njootli Sr. But with the advent of commercial fur farms in Russia, he says the price of fur has plummeted, along with the viability of a trapping career. While furs can be sold, he noted that the practice of trapping can be valuable in itself. Following the success of UnFURled in March, Njootli Sr. says that Yukon Fur Real is working to figure out its next steps to continue representing Yukon trappers. Discussions are taking place around whether events and workshops similar to UnFURled continue to be held, or whether Fur Real focuses on creating an entity to represent trappers and the fur industry. For Harold Johnson, the importance of the trapping lifestyle lies in its cultural significance.